like a plastic bag, drifting through the wind, wanting to start again? I'll explain...or try to anyway. My sis-in-law, Mick, posted this song on fb the other day. I added it to my running list. Yeah, I still do that. I'm shooting for 15 miles this week. I've done 6 so far this week. Anyway, I ran last Tuesday. I had a hard time with it. I'd just found out that Leah, a 19 year old from our church had passed away that morning. She'd had cancer. I just kept thinking how lucky I was to even be running. How lucky I was to have made it past the young age of 19. That was how old I was when I met Matt. How lucky I was to experience my life so far. To be able to know my children. To understand that God is good. Pastor Don preached on the sovereignty of God on Sunday. You know, why things happen, why God would let certain things happen, why He is right in letting things happen. He asked who had had the perfect life so far. Mary raised her hand and I honestly felt that I could have too. It hasn't gone smoothly all the time and I've sinned and had to take the hard road for awhile, but I have a terrific life. He's given me everything that I need and so many times, I waste it and take it for granted. It was a rough run. I tried to take stock of my life while I was out there. I kept going back to Leah. Her theme verse was Deuteronomy 31:6 "Be strong and courageous. Do not be afraid or terrified because of them, for the Lord your God goes with you; He will never leave you or forsake you." As that song played while I ran, I couldn't help but think of Leah's verse. It talks about all those things...strong, courageous, don't be afraid. Have you figured it out yet? It misses the one thing that we need to be a firework though. Jesus. He's the only way we're going to burn brightly. I believe Leah did. 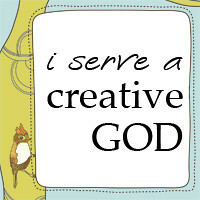 So all that said...I've let the fire go out on my little "I serve a creative God" series. I'm going to start that back up again on Tuesdays. I'm going to use this book that I got from Mom for Christmas. How perfect is that?! You wanna join me? The book is here: amazon. 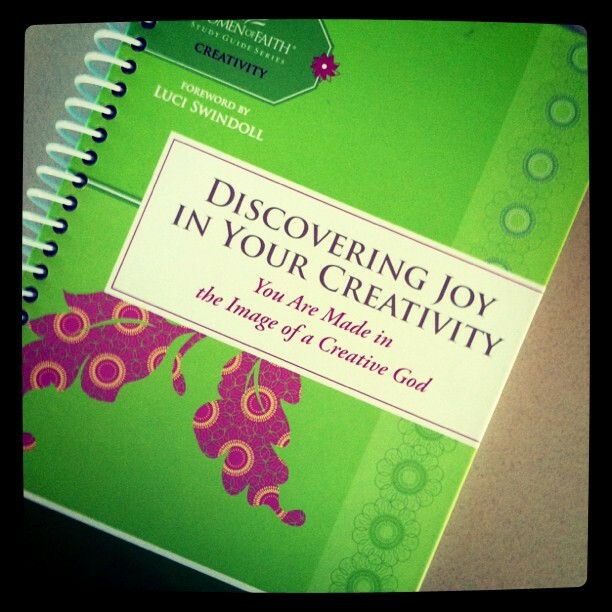 And there's a kindle version! Is anyone else addicted to that app? I'm just going to write about the lesson. No biggie. Just my thoughts. I'd like to hear yours. You got a week to decide. beautiful post! what a touching reminder that every day is a gift. Thank you for sharing this. Awesome post. Awesome. You always have something brilliant to say : ) Leah’s passing is a blessing to so many, her passing makes us see all that we truly have been blessed with. And she reflected such beauty and passion for Christ while here. Love the post. ps – Love Karmin, too! !